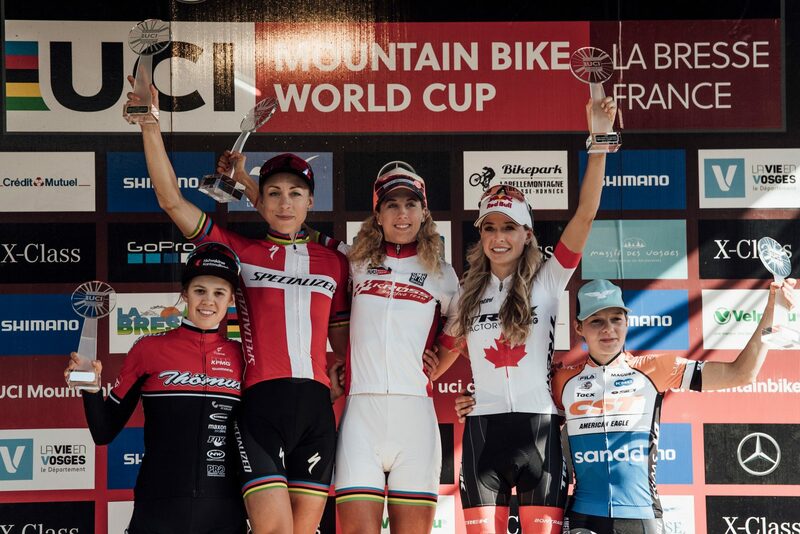 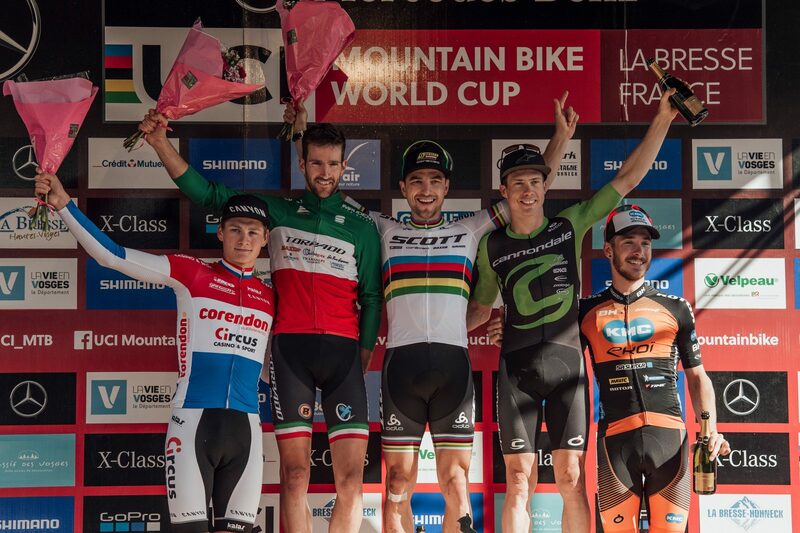 The 2018 World Cup season ended today with an epic race in La Bresse. 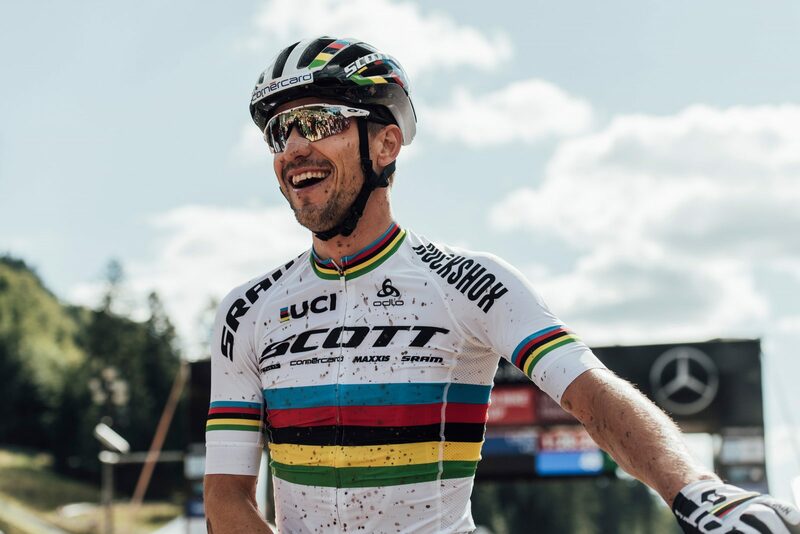 Nino Schurter has already cinched the so-called “overall” with early dominance throughout the season, but today marks his 30th World Cup win. 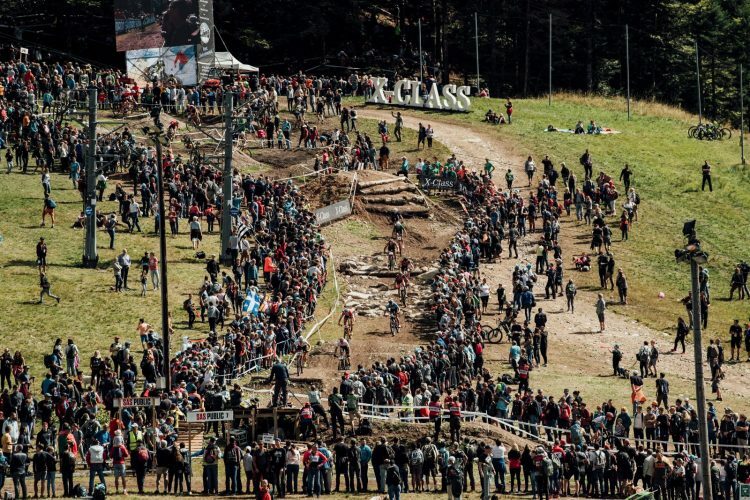 Today’s race is 4.1 km long with a 201m of climbing. 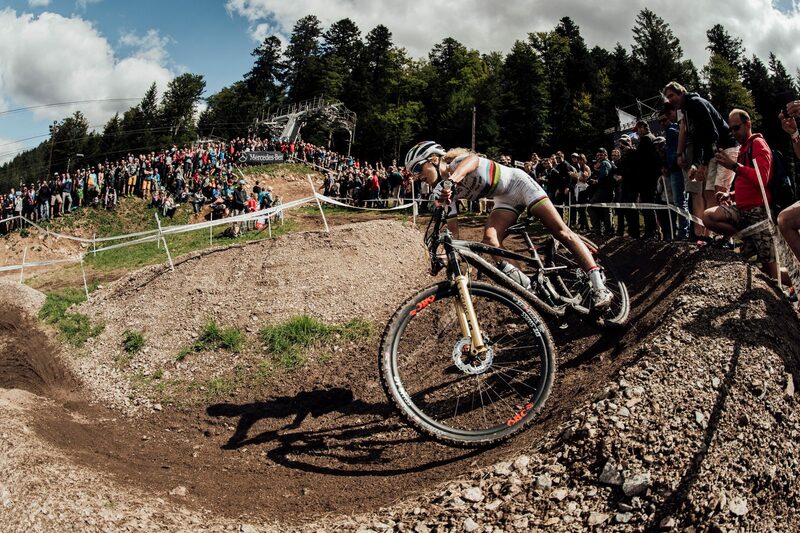 Start with a dirt sections of track with average grades of 16%, before becoming more technical but less steep. 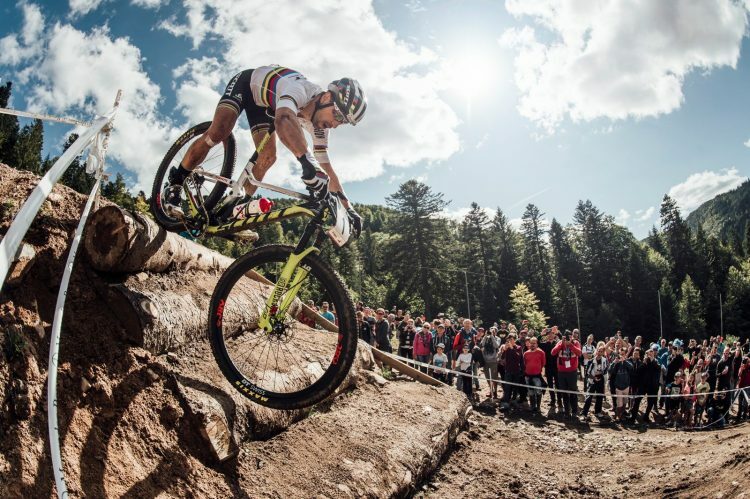 Downhill, from a technical point of view, nothing is missing: from technical sections in the forest to jumps, drop and artificial rock gardens. In short, a track on which Schurter is able to capitalize on his excellent technical skills: the Swiss was in fact in the lead for the first two laps of the race, closely followed by Van del Poel and Avancini. Gehrard Kerschbaumer followed at 30 seconds back. 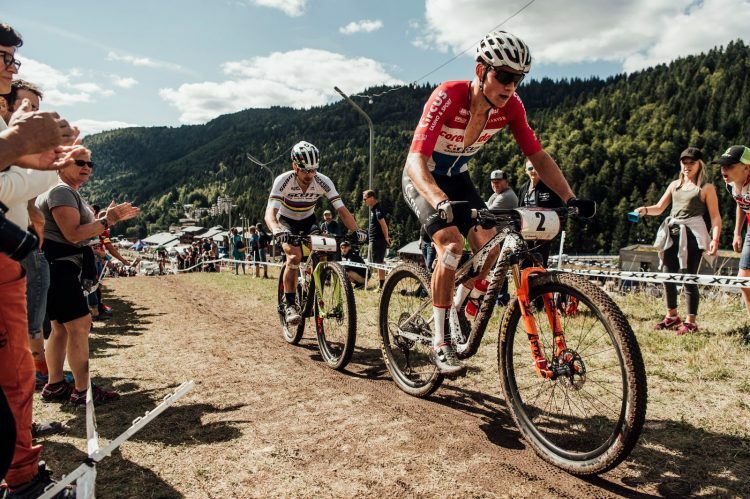 At the start of the fourth lap, Schurter gave way to Van der Poel, while Kerschbaumer, who gradually gained 15 seconds, was in third place. 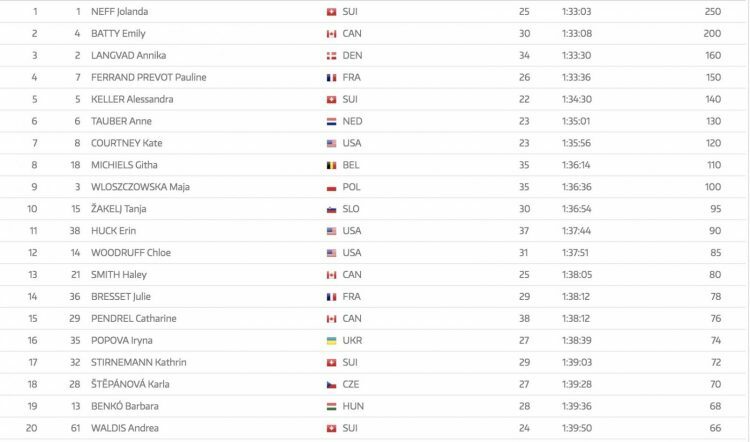 Avancini, on the other hand, slipped back into the chasing group. During the fourth lap, even Van der Poel could not keep up and left Kerschbaumer to chase Schurter. 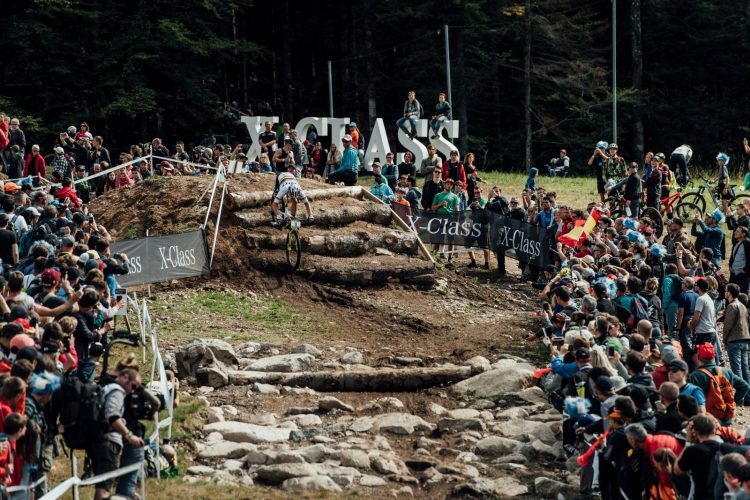 The Italian, however, had to stop a few seconds, due to losing a chain, and inevitably losing precious seconds (nine). 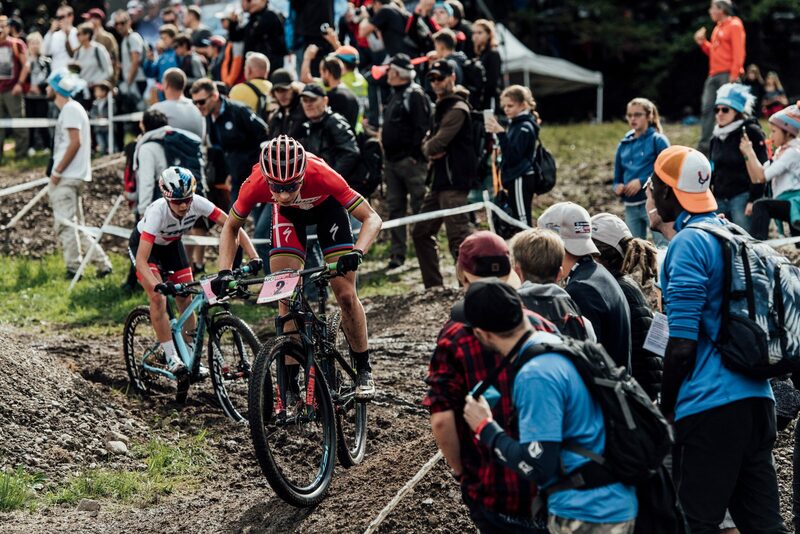 Overcome by Van del Poel, the Italian reconquered second position on the next lap to recover ground on Schurter and at the same time leaving behind all the others. 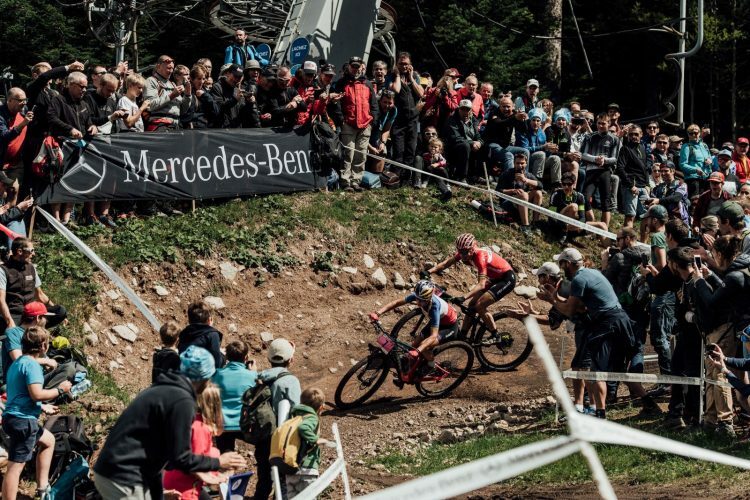 But there was nothing that could be done, the time required to get back on Schurter’s wheel was devastating, and at the end of the fifth lap, Kerschbaumer’s chain fell again. 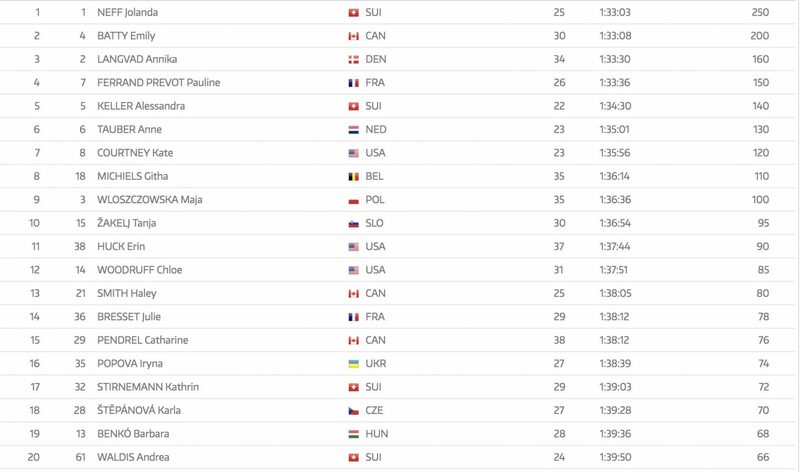 Another 30 seconds lost. There was plenty of anger for Van der Poel in the last lap: a puncture to his front tire and the consequent fall made him lose third position to Marotte. 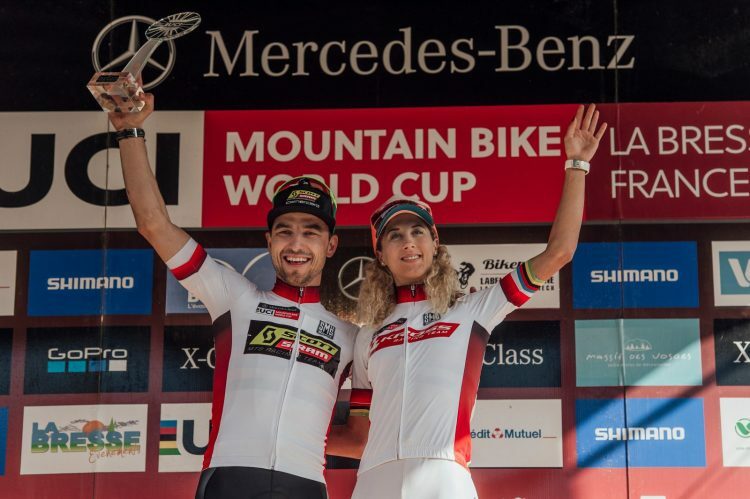 The race then concluded with Schurter first and Kerschbaumer second despite the various technical problems he faced. 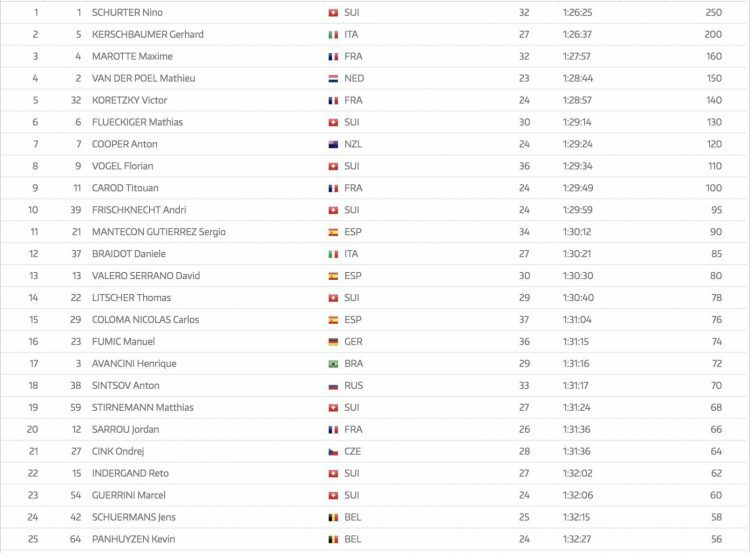 Maxime Marotte would land on the third step of the podium. 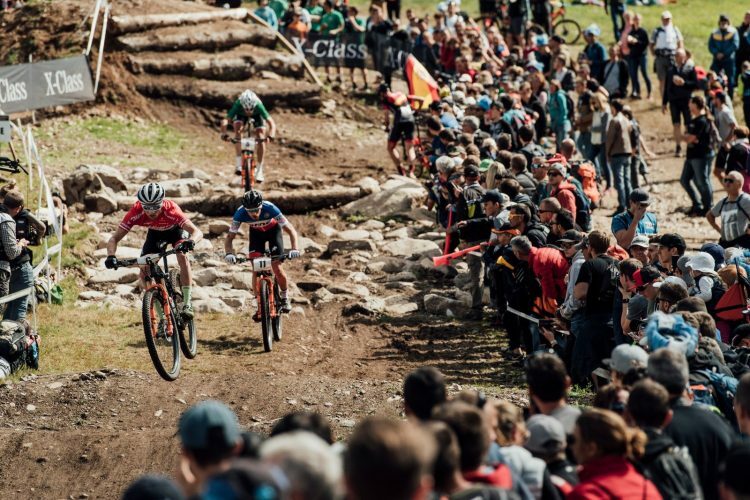 Followed by Van der Poel, Koretzky, Flückinger, Cooper and Vogel. 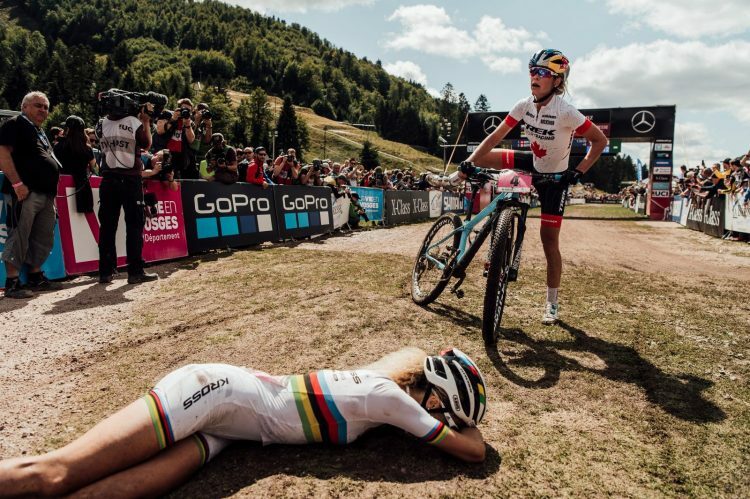 Among women, at the end of a crazy race that saw four athletes fight for victory, Neff predominated. 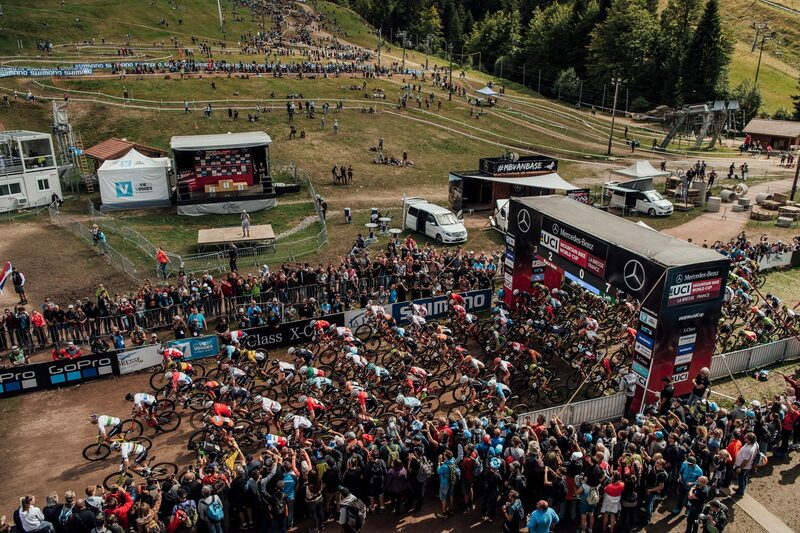 In two weeks World Championships arrives in Lenzerheide , stay tuned!